In the fourth year of its winter residency in Miami, the Cleveland Orchestra is showing greater confidence in its approach to its audience. While the orchestra initially felt compelled to perform more populist works—often with an Hispanic piece that felt somewhat obligatory—its attitude seems to have evolved. The programming has become more sophisticated, displaying less of a desire to dazzle the locals with Romantic blockbusters and a greater willingness to perform modern and more challenging works. In its concert Friday at the Arsht Center’s Knight Concert Hall, the orchestra led by music director Franz Welser-Möst performed Leonard Bernstein’s Symphony No. 2, subtitled The Age of Anxiety. While composed about 60 years ago — and therefore hardly contemporary — it’s an unusual enough choice compared to the conservative programs of previous seasons. Inspired by W.H. Auden’s poem about four lonely, insecure people who meet in a bar and fall into conversation about the human condition, the work has a concerto-like piano role, performed Friday by the orchestra’s principal keyboardist, Joela Jones. Her performance of this difficult solo part was competent but plodding, with little of the nervous energy Bernstein seemed to call for. The descending cascades of notes of Variation II lacked shape, the complex rhythms and rapid figures of Variation IV had little drive and there wasn’t much fizz in the jazzy Masque section. In an unusual move for a soloist, she used sheet music, constantly turning pages as she played, which didn’t aid the spontaneity of the music-making. The orchestra’s work, however, was excellent, with particularly fine, burnished playing by the winds in the opening and in the melancholy seventh variation. And the orchestra played with polished, well-blended power at the end, where strings, winds and brass, join for a slow crescendo to the work’s closing fortissimo affirmation. The concert opened with Verdi’s overture to the opera La Forza del Destino, a perennial on symphonic programs for generations. The orchestra gave this overplayed work a fresh tone, though, with an intense, super-refined performance, particularly in the strings. Although the blaring, barrel-organ quality may have been missing, it’s rare to hear this work played with this level of commitment and refinement. 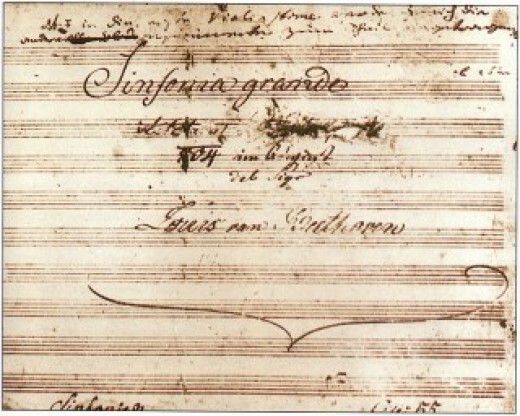 The second half was devoted to Beethoven’s Symphony No. 3, the Eroica, one of the most important symphonies ever created, which abruptly rang down of the curtain on the Classical era. As with the Verdi, this was a refined performance, emphasizing the smooth blending of sounds and elegance of execution over the raucous, revolutionary elements of the work. In the first movement, Welser-Möst husbanded the orchestra’s energy, not really letting go until the climax toward the end. The most impressive work came in the dirge-like second movement, where winds play a plaintive theme over a restless accompaniment in the strings, and Welser-Möst built the contrapuntal section to a powerful climax. A couple of horn errors marred the third movement. But the finale moved with vigorous energy, with a grim drive in the minor-key, dotted rhythms in the middle of the movement. The Cleveland Orchestra repeats the program 8 p.m. Saturday at the Arsht Center’s Knight Concert Hall. Call 305-949-6722 or go to www.arshtcenter.org. Another excellent concert! It’s a shame we have to wait until March to hear the orchestra again. I could have used a little more revolutionary spirit in the Beethoven, but I have to admit that it was intriguing to hear such an elegant interpretation. I wonder what Beethoven would have preferred.